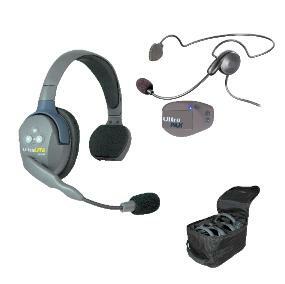 UltraLITE™ Self-contained headsets and UltraPAK™ beltpack transceivers provide hands-free simultaneous talk communication. The UltraLITE™ eclipse all other duplex headsets for performance and convenience because the transceiver i built inside the earcup. 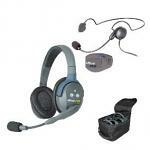 This "All-in-one" design eliminates wires and belt worn radios. Use the selection list to choose a system or parts.